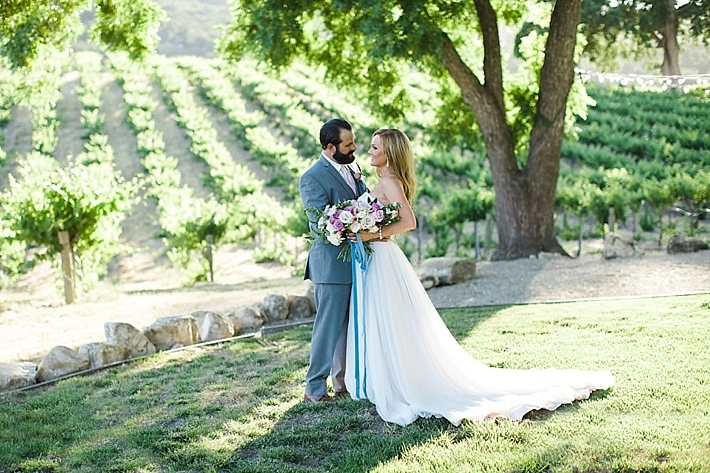 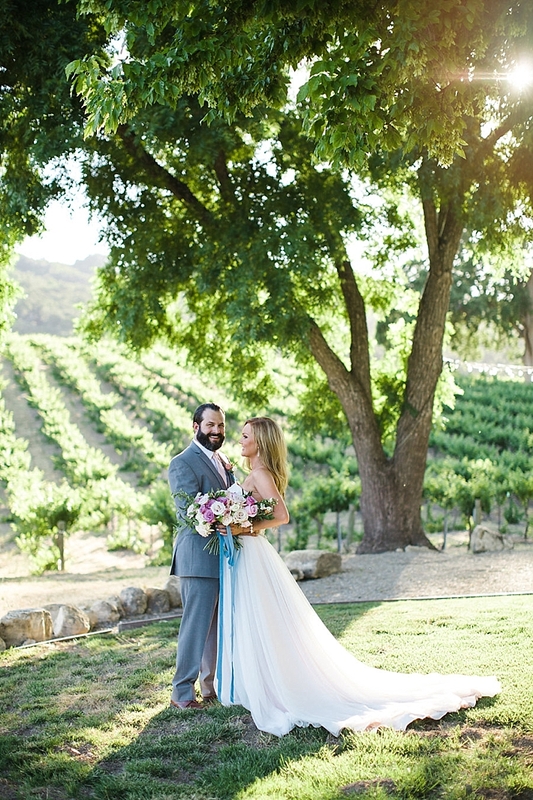 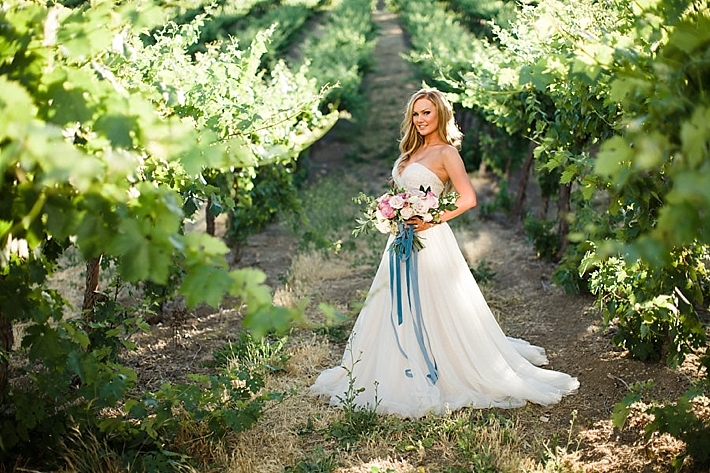 "Blue, blush and violet tones set against the backdrop of HammerSky's white barn and lush vineyards set the stage for a romantic shoot. 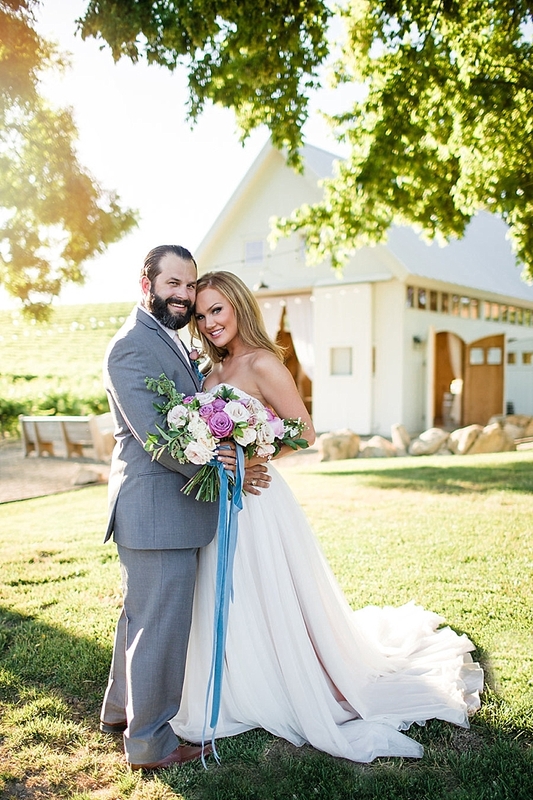 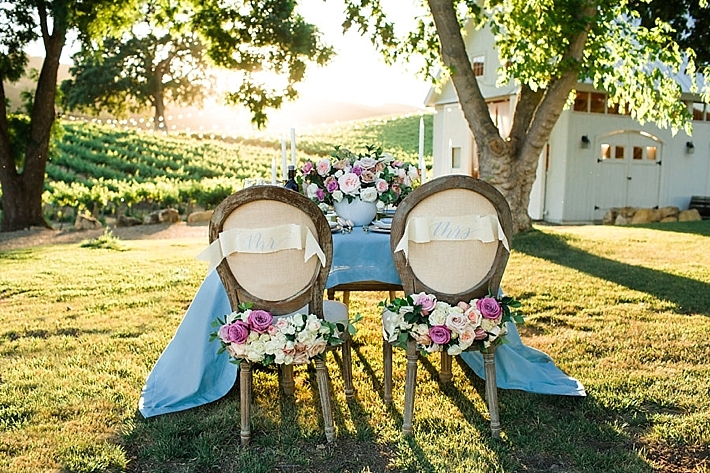 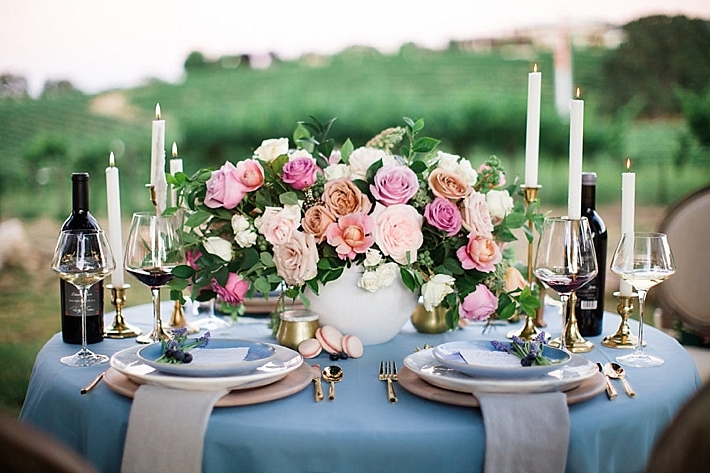 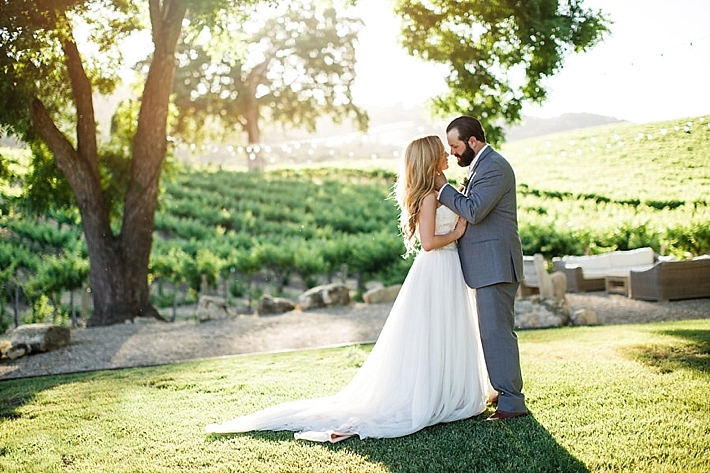 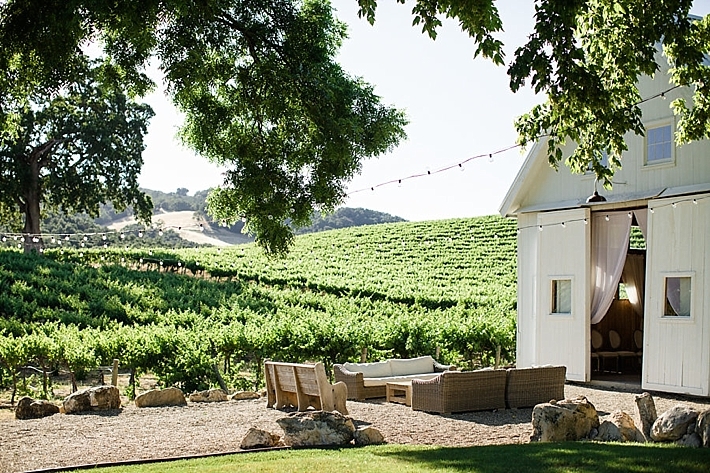 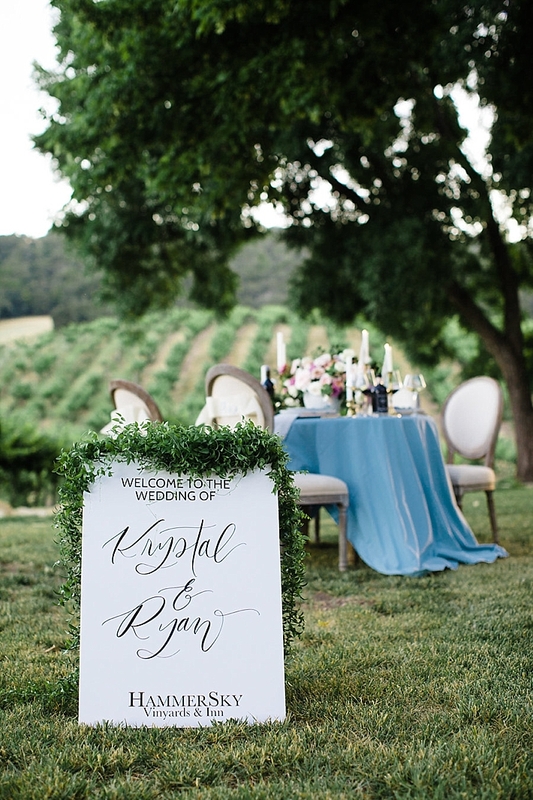 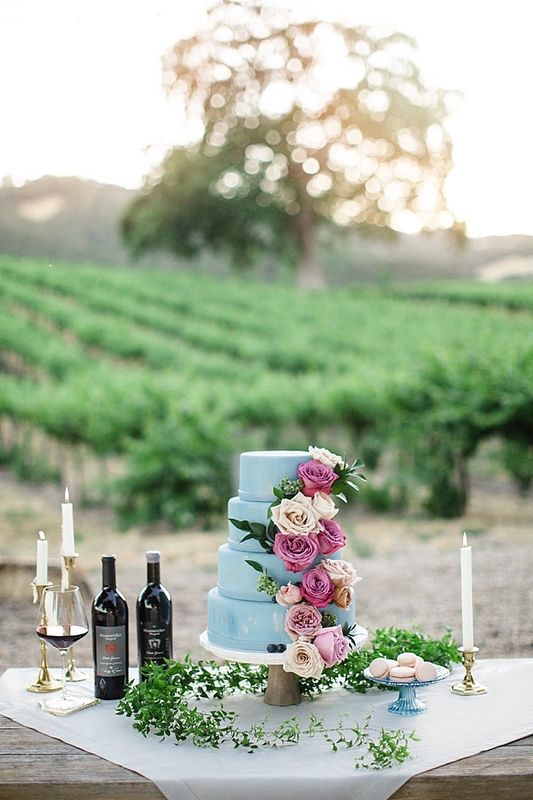 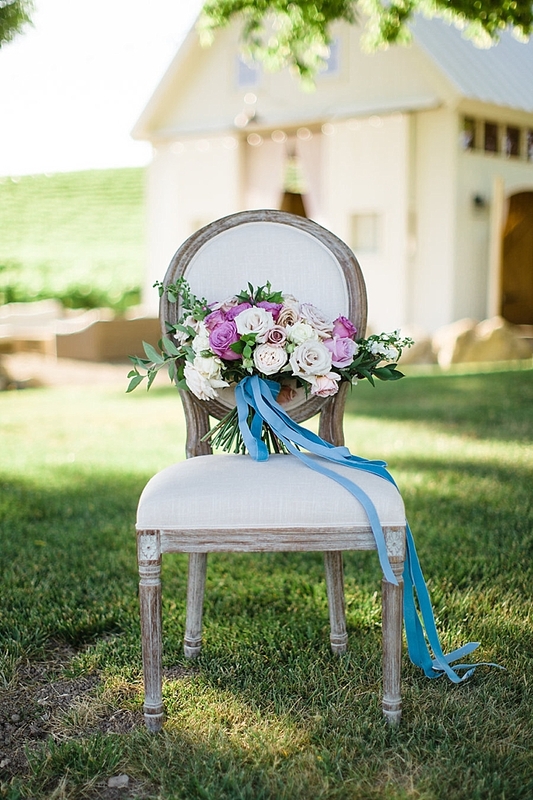 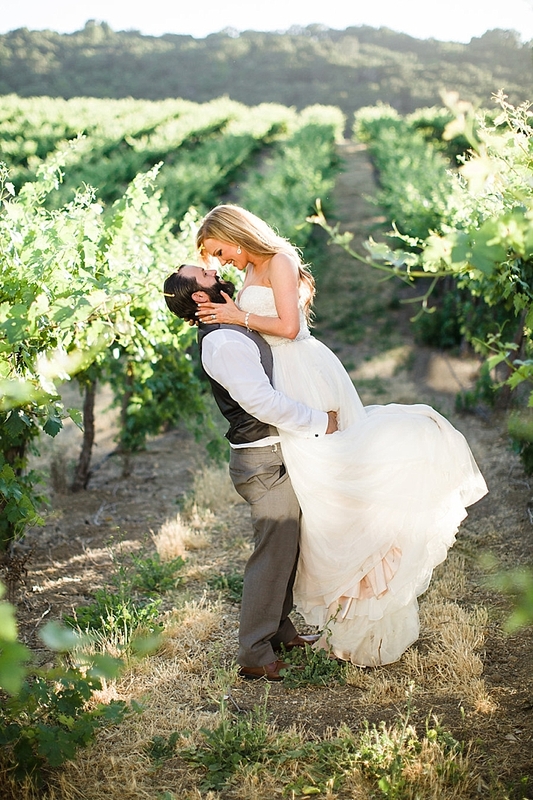 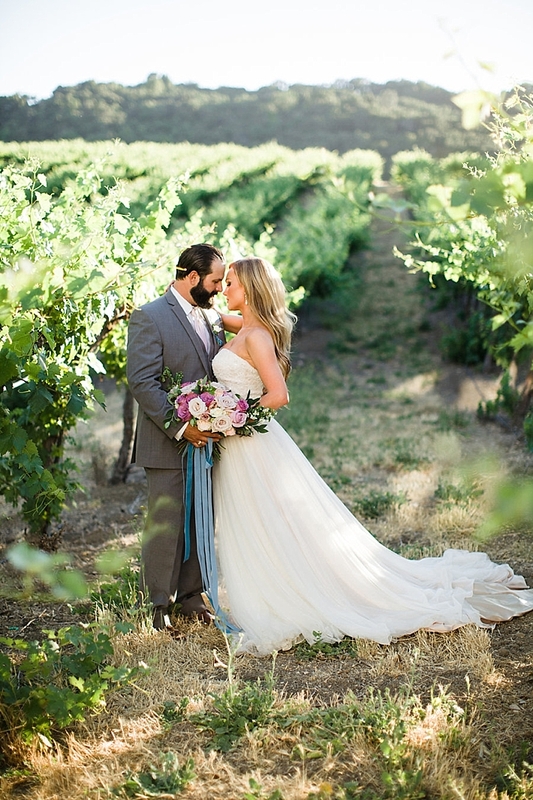 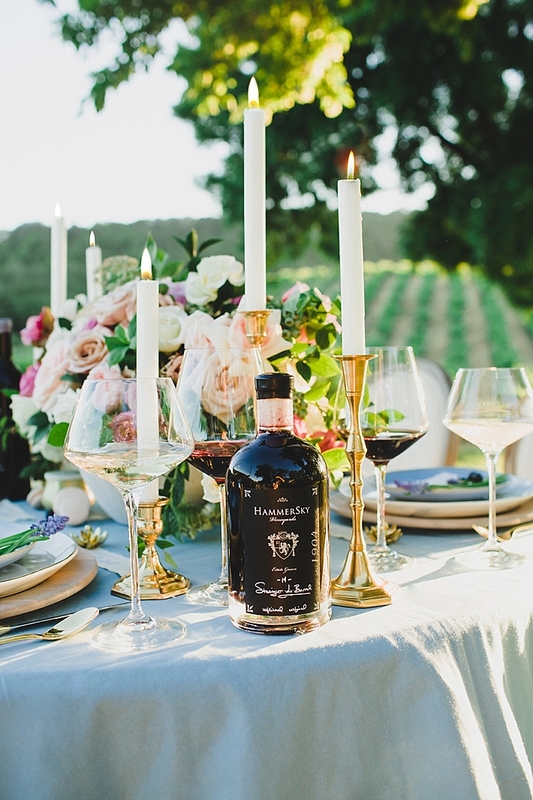 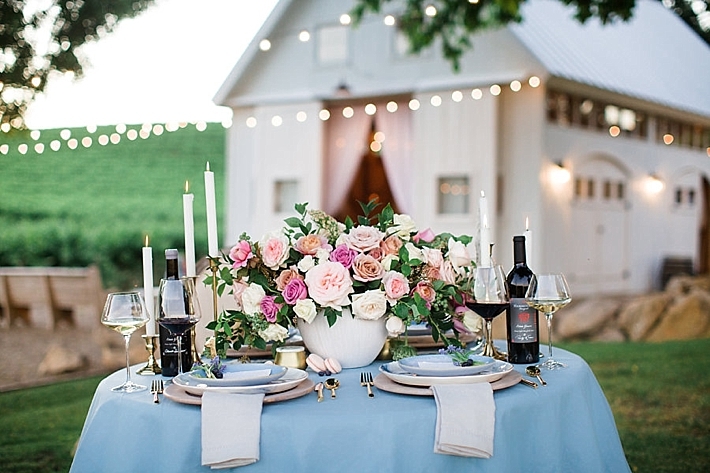 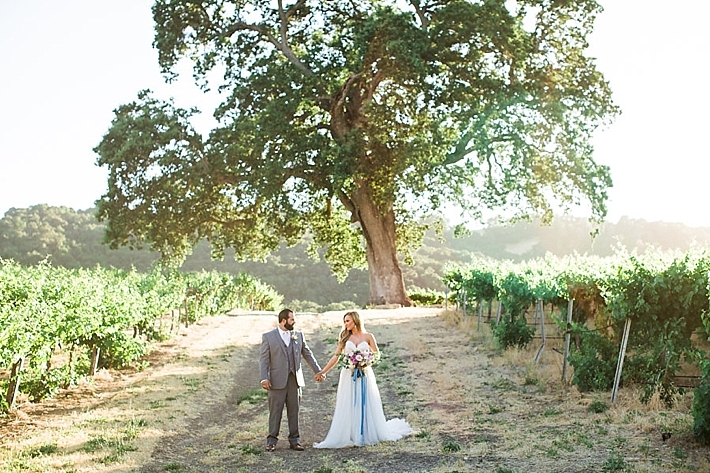 HammerSky Vineyards has all the charm of the south but is located in central California, making it a great option for couples looking for the venue with an intimate and hometown feel. 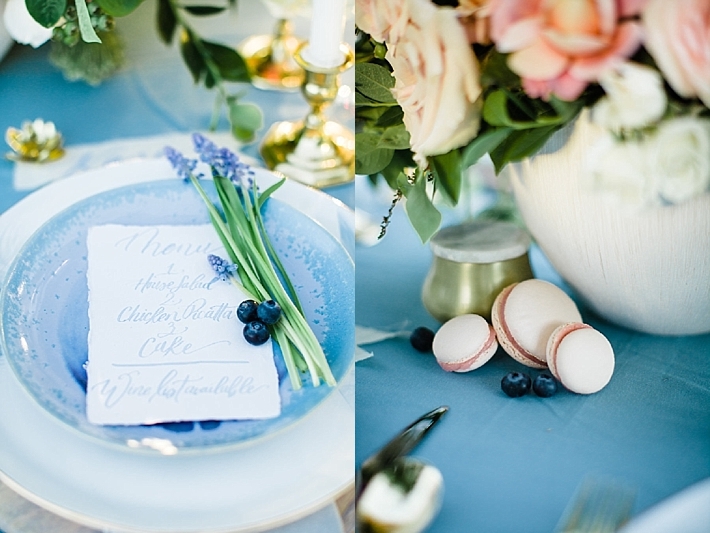 A sweetheart table draped with florals created an intimate space for the couple, and a blue cake created a fun twist to the traditional white wedding cake. 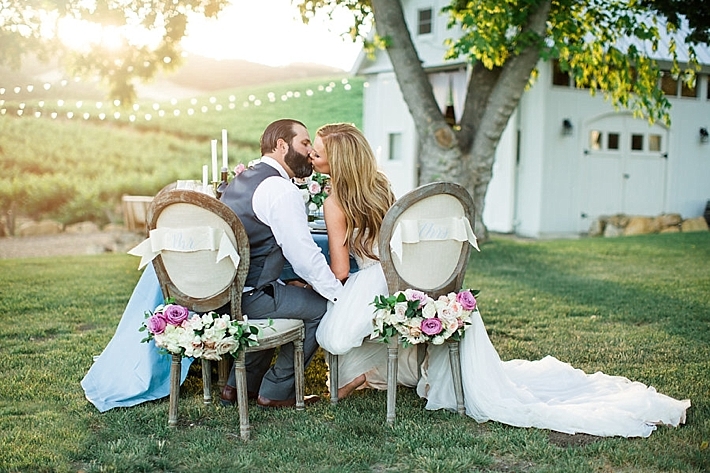 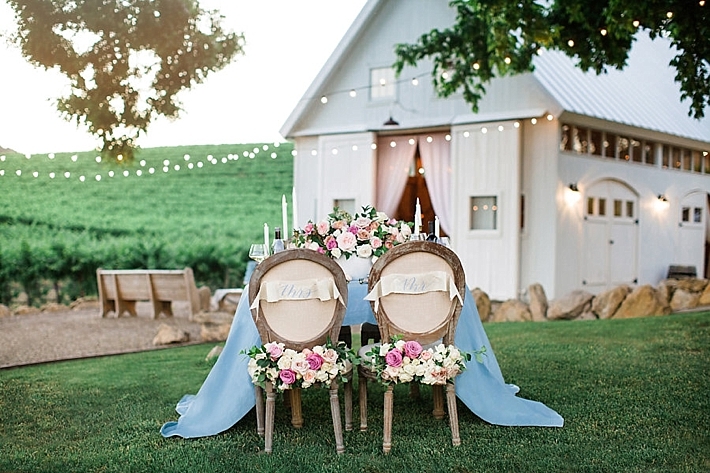 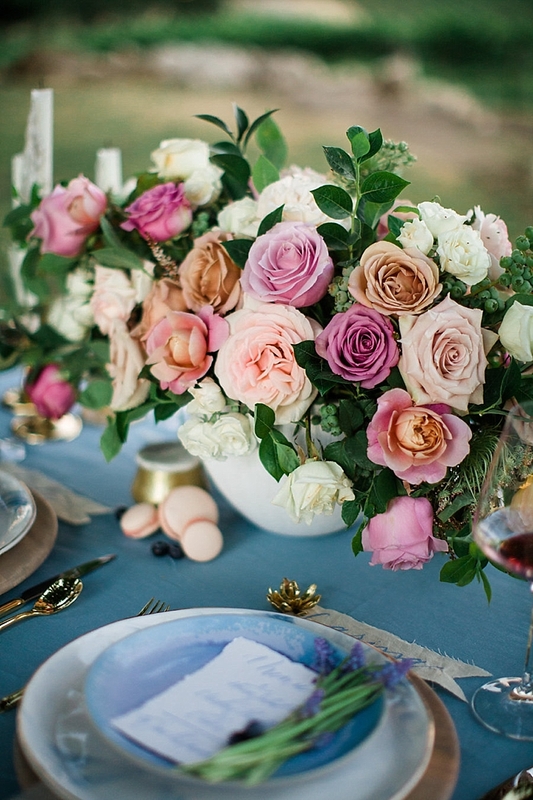 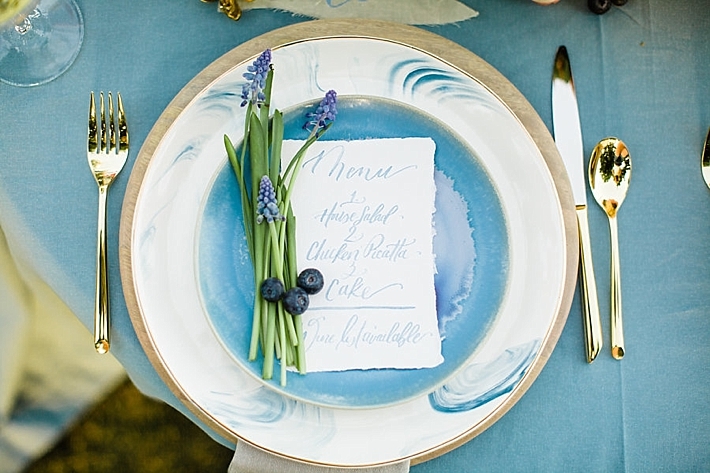 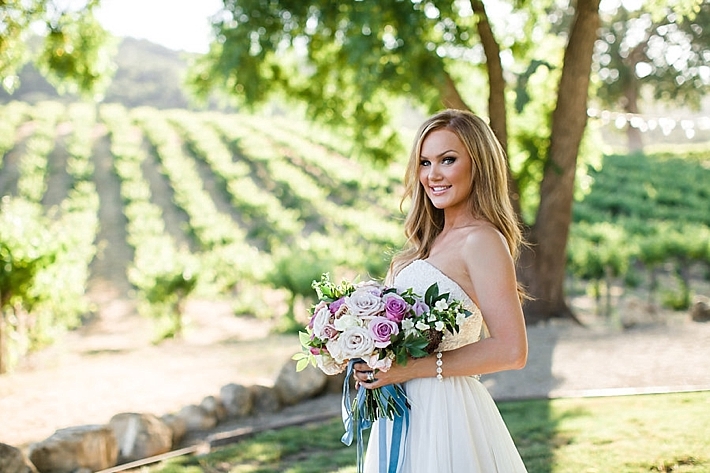 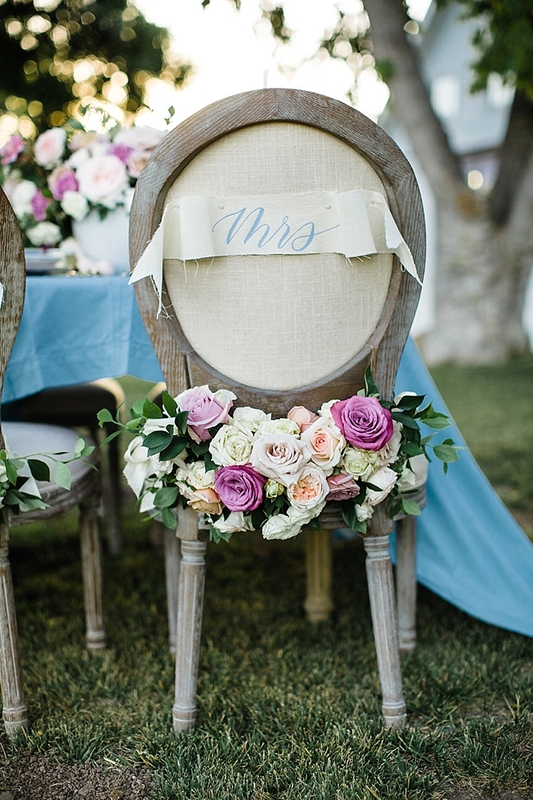 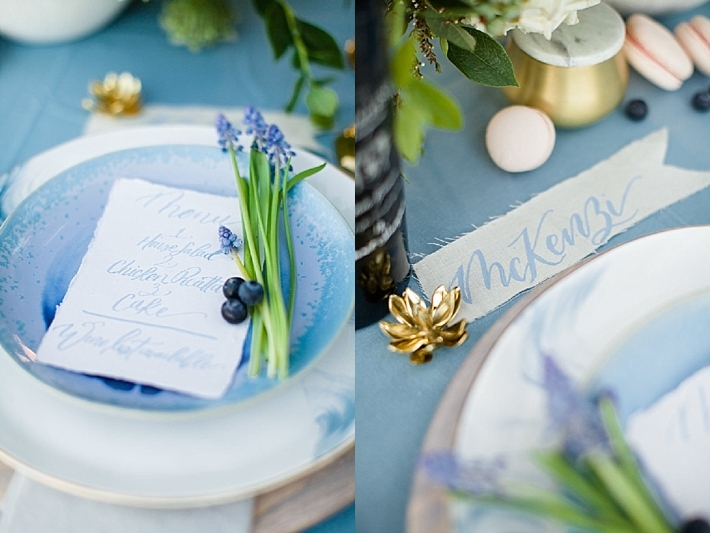 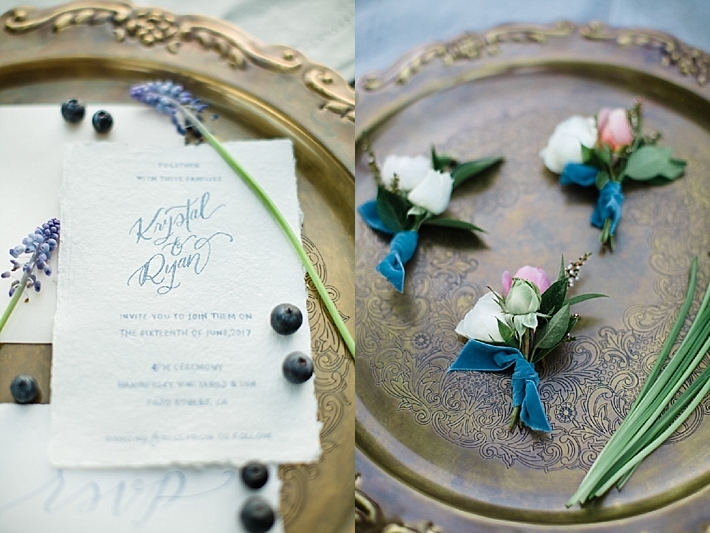 This shoot is sure to inspire brides dreaming of their spring wedding."